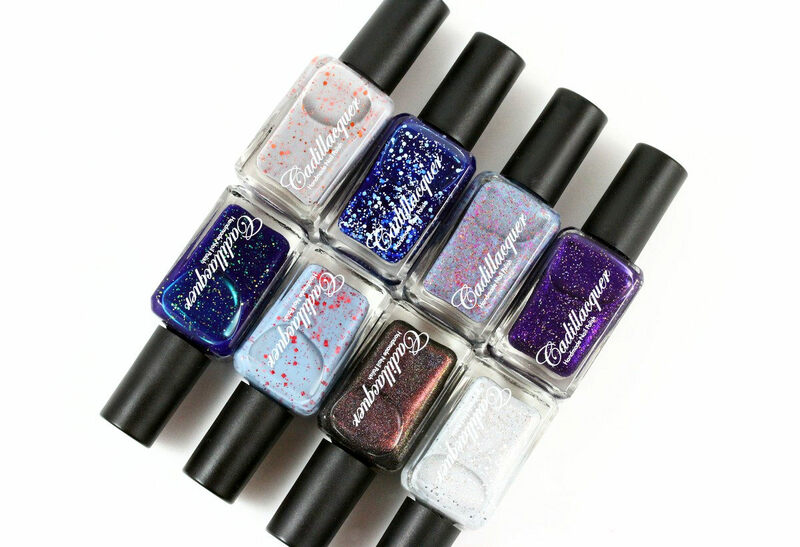 Here I am with a very special nail polish collection from Cadillacquer: The Fan collection! 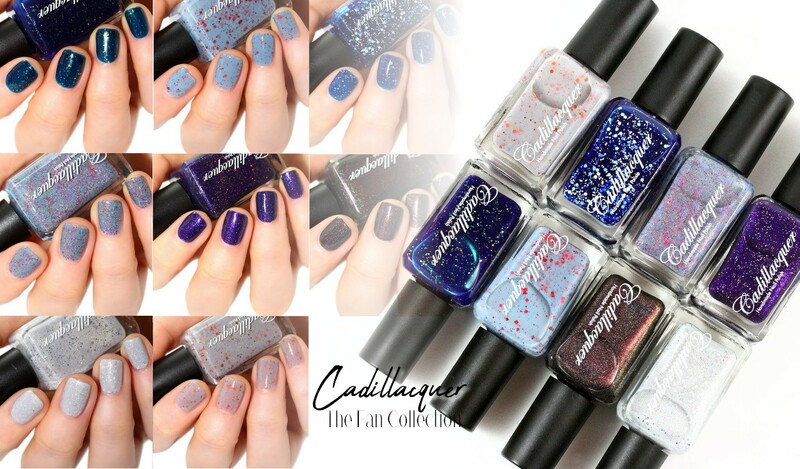 Each polish of this collection is in collaboration with a Cadillacquer fan! BSoD is a blue jelly filled with different sized white glitters. It was created in collaboration with @langolodeglismalti. I used 3 coats. 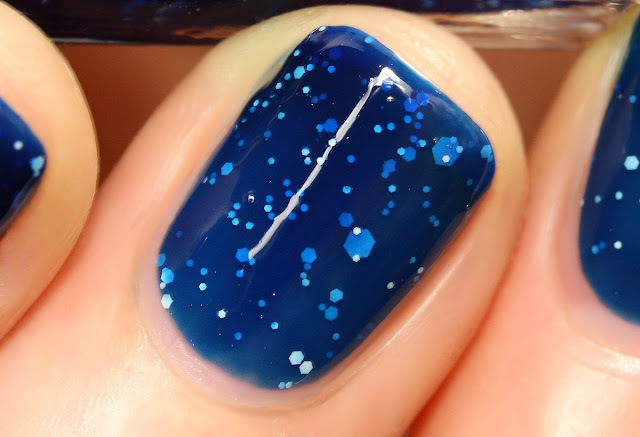 You could use 2 coats but 3 coats give more dimension. 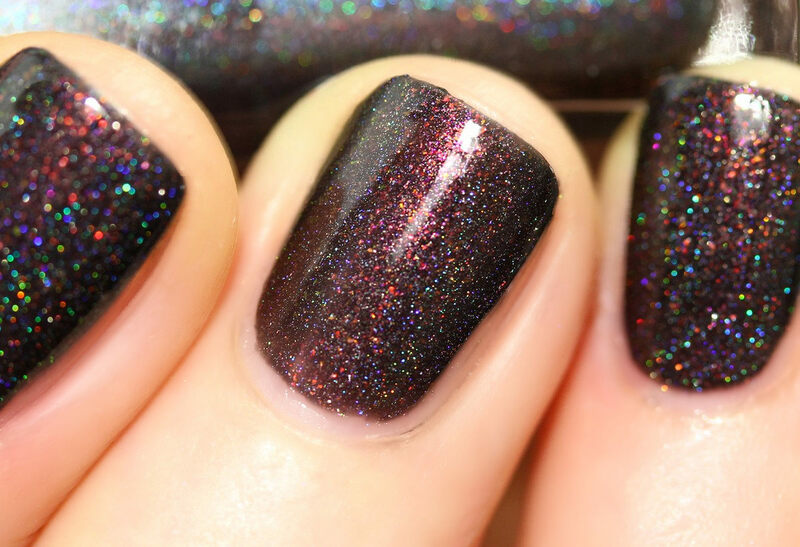 Dean is a black holo with strong red/orange shimmer. It was created in collaboration with @bepinselt. I used 2 coats. Devotion is a dark purple with magenta shimmer and glowing gold galaxy holo glitter. It was created in collaboration with @my_apawcalypse. I used 2 coats. 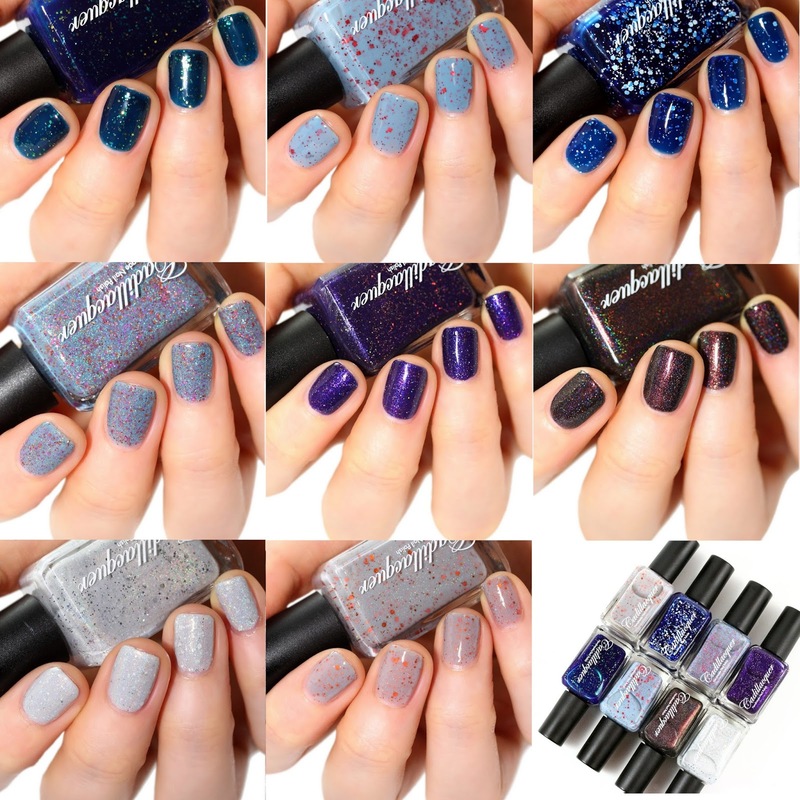 From The Ashes is a light greyish blue holo filled with gold metallic, orange, red and matte magenta glitter and small iridescent blue flakies. It was created in collaboration with @upadaisynails. I used 2 coats. 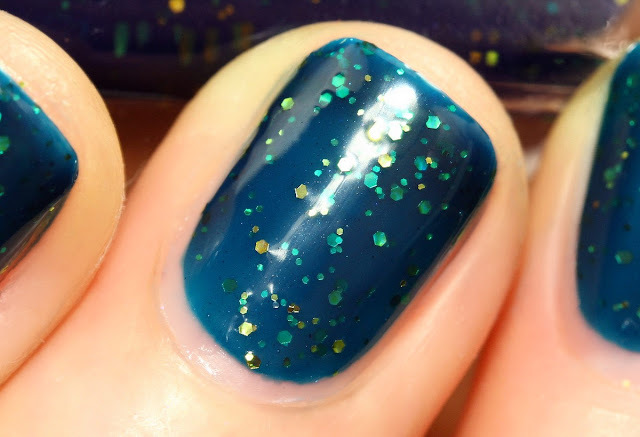 Gold Rush is a dark teal/blue jelly, filled with small chartreuse metallic glitter. It was created in collaboration with @thenailpolishhoarder. I used 2 coats but then added a 3rd coat on some nails to give more depth. 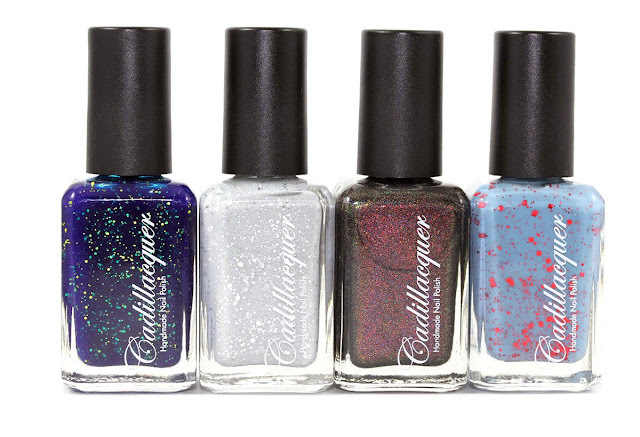 Odette is a grey-leaning white scattered holo, with different sized silver metallic glitter. It was created in collaboration with @vlada_gerra. I used 3 coats. Princess Swan is a light blue crelly, slightly gray leaning, with small red metallic glitter and square red metallic glitter. It was created in collaboration with @_apple_tea. I used 2 coats. White Night is a light grey scattered holo with different sized orange metallic glitter. It was created in collaboration with IG @little_zzi. I used 2 coats. Do I need to add that I love them? :D You know I love Cadillacquer polishes. I think the quality is always there and I like how unique they are. Unexpectedly I really love Odette. I'm normally not really into light colors but I must admit this one looks particularly gorgeous! I also really enjoy Dean (that's everything I love!) and I also really like Princess Swan. 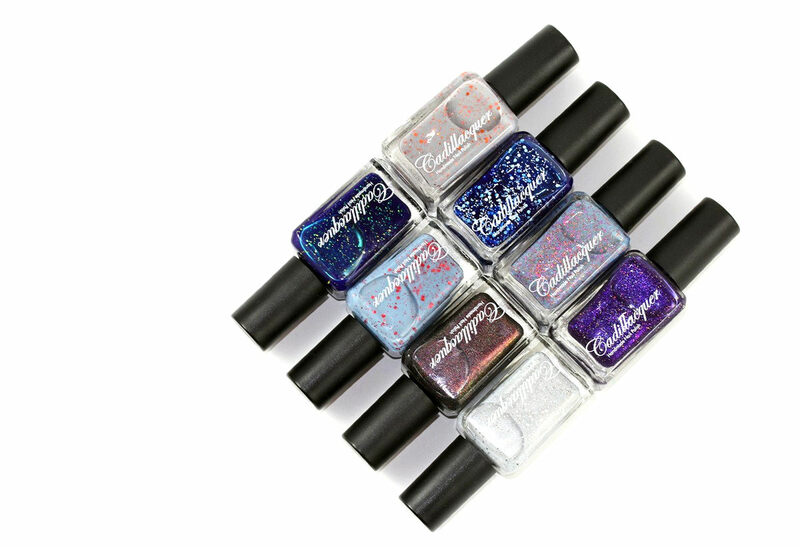 I think this is a Cadillacquer signature polish: glitters in a milky jelly base and I love the color combo. In that sense, White Night is also super pretty! 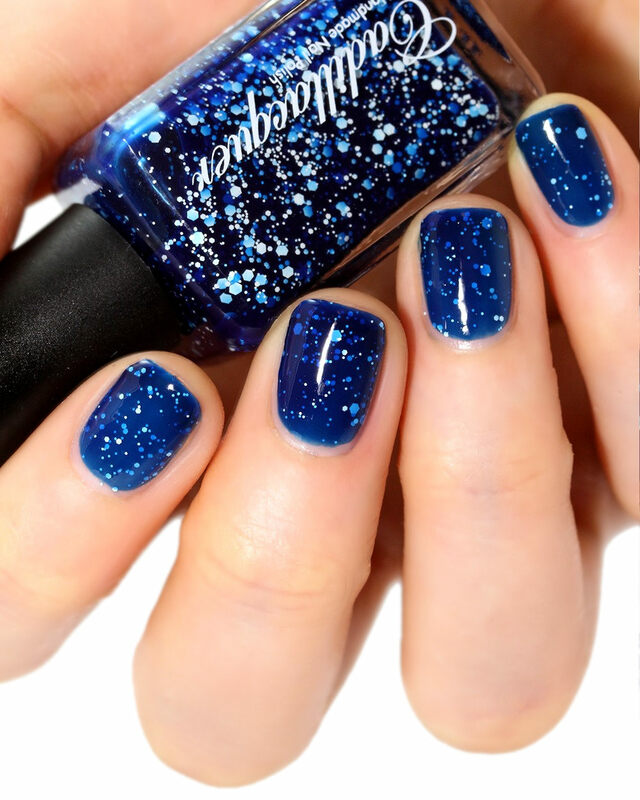 and oh, I also love BSoD, super a gorgeous glitter polish with so much depth! 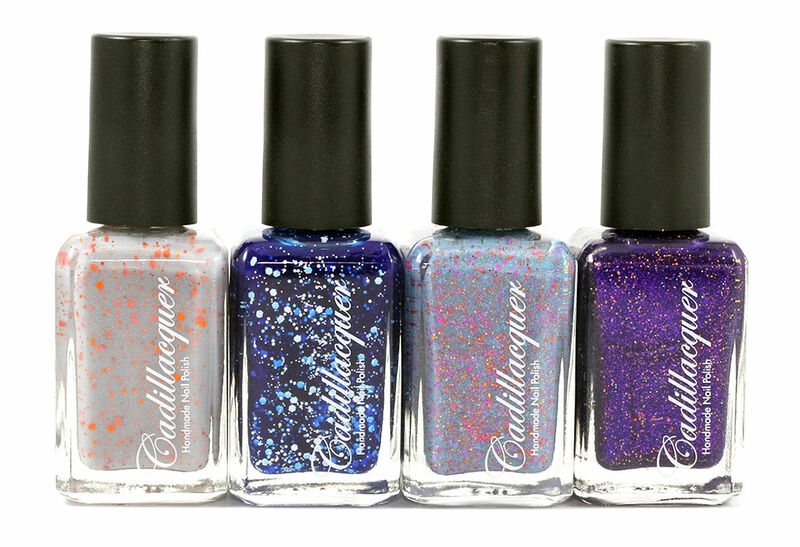 The collection is available on Whats Up Nails. It will be available tomorrow (21 Feb) on Hypnotic Polish, and a bit later on Lakodom and Color4Nails. Personal but valuable, as I find your aesthetic to be in line with my own. Thanks a lot, Elena! And thanks for creating such a gorgeous polish! I really loev it!